Di Santo P, Cocozza C, Tognetti R, Palumbo G, Iorio ED, Paura B (2016). A quick screening to assess the phytoextraction potential of cadmium and copper in Quercus pubescens plantlets. iForest 10: 93-98. The relevance of the environmental pollution by heavy metals warrants the necessity to develop and assess more efficient plant-based technologies. This study was conducted to evaluate a quick screening approach in order to investigate the cadmium (Cd) and copper (Cu) phytoextraction potential of Quercus pubescens in a micro-propagation system. Increasing concentrations of Cd (0, 5, 50, and 250 µM) and Cu (0, 5, 50, 250 and 500 µM) were separately applied to evaluate the effect of metals on their absorption and accumulation in downy oak plants. At high concentrations, Cd and Cu significantly reduced the dry biomass of shoots and roots and the plant tolerance index. Cd was toxic at increasing concentrations, inducing higher reduction of shoot dry mass than roots, whereas Cu increased dry mass at 5 µM. This study represents the first attempt to assess Cd and Cu uptake in Q. pubescens under in vitro conditions. The in vitro screening potential is meanly related to the following purposes: (i) proper selection of plant materials resilient to excess metals in the growth substrate; (ii) efficient removal of metals by the selected tree species; (iii) minor interference with the growth of plants accumulating metals in their tissues; (iv) rapid provision of plant materials for tree breeding programs. Phytoremediation of heavy metals - Concepts and applications. Chemosphere 91: 869-881. Tolerance and bioaccumulation of cadmium by Phragmites australis grown in the presence of elevated concentrations of cadmium, copper, and zinc. Aquatic Botany 80: 163-176. Physiological responses of plants to heavy metals and the quantification of tolerance and toxicity. Chemical Speciation and Bioavailability 1: 7-17. Different behaviours in phytoremediation capacity of two heavy metal tolerant poplar clones in relation to iron and other trace elements. Journal of Environmental Management 146: 94-99. Heavy metals and woody plants - biotechnologies for phytoremediation. iForest 4: 7-15. In vitro culture and genetic engineering of Populus spp. : synergy for forest tree improvement. Plant Cell Tissue and Organ Culture 72: 109-138. Exploring the metal phytoremediation potential of three Populus alba L. clones using an in vitro screening. Environmental Science and Pollution Research 18: 82-90. Application of plant tissue cultures in phytoremediation research: incentives and limitations. Biotechnology and Bioengineering 103: 60-76. Gas-exchange, photo- and antioxidant protection, and metalaccumulation in I-214 and Eridano Populus sp. clones subjected toelevated zinc concentrations. Environmental and Experimental Botany 107: 144-153. Cadmium exposure and cancer mortality in a prospective cohort: the Strong Heart Study. Environmental Health Perspectives 122: 363-370. Plant response to heavy metals and organic pollutants in cell culture and at whole plant level. Journal of Soils and Sediments 4: 133-140. Assessment of ibuprofen tolerance and removal capability in Populus nigra L. by in vitro culture. Journal of Hazardous Materials 229-230: 217-223. Health risks of heavy metals in contaminated soils and food crops irrigated with wastewater in Beijing, China. Environmental Pollution 152: 686-692. The use of maize and poplar in chelant-enhanced phytoextraction of lead from contaminated agricultural soils. Chemosphere 67: 640-651. Studies on selected heavy metals on seed germination and plant growth in pea plant (Pisum sativum) grown in solid medium. Journal of Pharmacognosy and Phytochemistry 3 (5): 85-87. Commercially feasible micropropagation of mountain laurel Kalmia latifolia by use of shoot-tip culture. International Plant Propagation Society 30: 421-427. Potential for phytoextraction of copper, lead, and zinc by rice (Oryza sativa L.), soybean (Glycine max [L.] Merr. ), and maize (Zea mays L.) Journal of Hazardous Materials 162: 1185-1192. 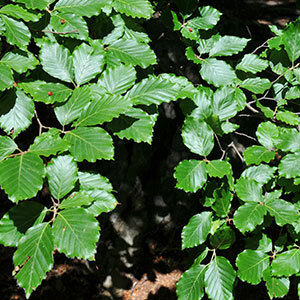 Growth responses and element content of Quercus pubescens seedlings under acidic and heavy metal contamination. Forest Snow and Landscape Research 3: 323-337. Heavy metal toxicity: cadmium permeates through calcium channels and disturbs the plant water status. Plant Journal 32: 539-548. Screening of poplar for clones for cadmium phytoremediation using photosynthesis, biomass and cadmium content analyses. International Journal of Phytoremediation 12: 105-120. Phytoremediation. Annual Review of Plant Biology 56: 15-39. Phytoremediation of heavy metal-contaminated land by trees - A review. Environment International 29: 529-540. Heavy metal hyperaccumulating plants: how and why do they do it? And what makes them so interesting? Plant Science 180: 169-181. Power comparison of Shapiro-Wilk, Kolmogorov-Smirnov, lillefors and Anderson-Darling tests. Journal of Statistical Modeling and Analytic 2: 21-33. The role of phytochelatins in constitutive and adaptive heavy metal tolerances in hyperaccumulator and non-hyperaccumulator metallophytes. Journal of Experimental Botany 53: 1-12. Metal hyperaccumulation and bioremediation. Biologia Plantarum 51: 618-634. Shaping the multifunctional tree: the use of Salicaceae in environmental restoration. iForest 6: 37-47. Variations in metal tolerance and accumulation in three hydroponically cultivated varieties of Salix integra treated with lead. PLoS ONE 9 (9): e108568. Ecological restoration of mine degraded soils, with emphasis on metal contaminated soils. Chemosphere 50: 775-780. Cadmium tolerance and hyperaccumulation in a new Zn-hyperaccumulating plant species (Sedum alfredii Hance). Plant and Soil 259: 181-189. Metal tolerance, accumulation and translocation in poplar and willow clones treated with cadmium in hydroponics. Water, Air and Soil Pollution 197: 23-34.